"The president stood firm in the defense of the country's national interest," Raul Hernandez, spokesman for the Philippines foreign affairs department, said in an e-mail. He didn't provide details of the demand, saying he didn't want to embarrass China. The dispute over the invitation to the China-ASEAN expo in Nanning, where the Philippines is the country of honor this year, is the latest irritant to repairing ties as the two sides refuse to budge over their territorial dispute. The Philippines wants the United Nations to arbitrate the dueling claims, an idea that China rejects. Citing two Philippine officials it didn't identify, the Associated Press reported yesterday that China had demanded the Philippines withdraw its arbitration request for Aquino's visit to go ahead. Hernandez called China's demands "absolutely inimical to our national interest." Chinese Foreign Ministry spokesman Hong Lei refused to comment on the issue at a briefing yesterday, referring reporters to Foreign Ministry statements last week. On Aug. 29, the Chinese Foreign Ministry urged the Philippines to work with China "to restore healthy and stable development of bilateral ties," the official Xinhua News Agency reported at the time. 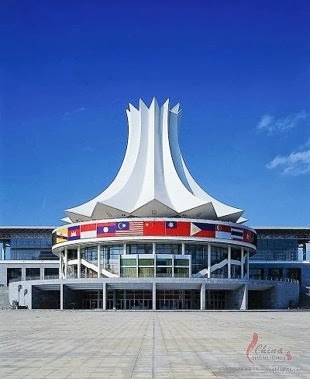 The annual China-ASEAN Exposition (CAEXPO) is an ASEAN-China cooperative event and the usual practice is for the leader of the country of honor to be present. ASEAN countries had strongly urged the Philippines to send the country's highest official to highlight the 10th anniversary of the ASEAN-China strategic partnership this year. Although the President does not need to be specifically invited, the documents we have on the DFA website will show that he was, in fact, invited. Were there any concerns and conditions from China for the President's attendance? There were subsequent concerns and conditions to the President's attendance and such conditions were absolutely inimical to our national interest. To avoid embarrassment on the Chinese side, we will not state these conditions but you may wish to address this specific question to H.E. Ambassador Ma Keqing. These concerns and conditions were delivered by at least three Chinese Foreign Ministry sources. We were advised that these conditions (1) should not be made public and (2) should not be discussed at Ministerial level. Given the unusual request and the importance of the issue involving our President, it was necessary for the conditions to be confirmed by the two Foreign Ministers at their meeting in Beijing last Wednesday, 28 August 2013. The President stood firm in the defense of the country's national interest. Was the President given appropriate and timely advice on the issue? As in all matters of foreign policy importance, the President is regularly advised in a timely and confidential manner.